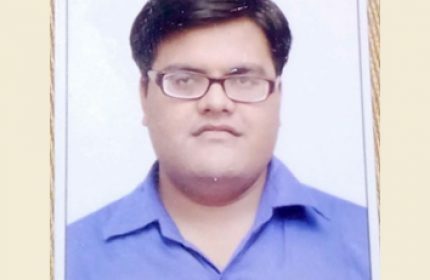 Mr. Ved Prakash Maurya has completed postgraduation in Applied Psychology (2009) from Veer Bahadur Singh Purvanchal University, Jaunpur. He was awarded Master of Philosophy in Clinical Psychology degree in 2013 by University of Delhi and completed his professional training at Institute of Human Behavior and Allied Sciences, Shadra, Delhi. He qualified UGC National Eligibility Test in December 2015. His began his professional career in Clinical Psychologist by joining department of Psychology, Shanti Home Advanced Psychiatric Rehabilitation and Mental Health Clinic in 2013. Subsequently in 2015 joined as Guest Lecturer in Clinical Psychology in department of Clinical Psychology, Gautam Budhha University, Greater Noida. Since September 2016, he is Assistant Professor in department of Clinical Psychology, FBS, SGT University, Gurgaon.